IIDA Carolinas came to us hoping to streamline their judging process for interior project design submissions. In talking with them, we discovered that the process was broken into three areas. The process starts with the need for a custom form for every entrant. IIDA needed to be able to administer the competition with a project submission list view. The judges needed access to a private gallery that limited the project information. 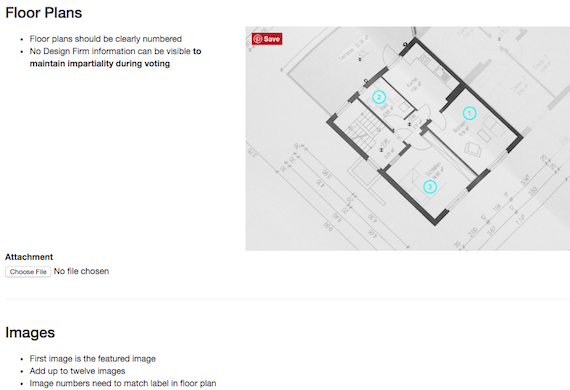 We started with a custom form that not only captures all the necessary information, including a detailed project description, but also allows for uploading all the graphic pieces that tell the story of a great design project - floor plans & comprehensive images. 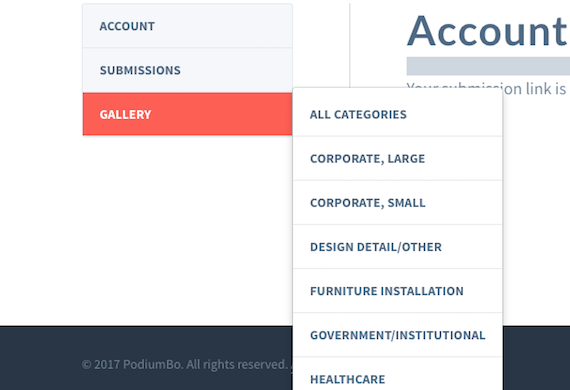 The Design Chapter members have access to each entry for reference through a submission list view. They can determine at a glance entrants, payment status, submissions by project or membership number. We also gave them the ability to view the form and to download the entire project. IIDA already collected payment with PayPal, so we took the existing system that everyone was familiar with and integrated payment information into the project. Administrators could see who had paid and who had not, right from the submission listings. The panel of judges has the ability to login and view only the Gallery of entries. Their permission level prevents any personal information from appearing, to maintain the necessary environment for judging.